How do you get the windows so clean? We would like to tell you that it is magic, but it is not. A great deal of care, training, practice and high quality tools all contribute to the results you ultimately see. In addition, we take a great deal of pride in getting your windows spotless where possible and giving you the result you desire. Our price is obtained by doing an on-site estimate. We use professional window cleaning tools and techniques in order to obtain the best possible outcome. The tools we use are designed to be used on residential windows and are sized appropriately. They include a mop for wetting the window and a squeegee for drying the window. In addition, we use stainless steel razor blades, surgical towels, and large beach towels under each location at which we work. Our ladders are also designed to be used at a residence. We have ladders designated for indoors and outdoors. The indoor ladders are never used outdoors in the yard or landscape beds. The ladders have been padded where they touch the house and we use stand-offs when we must get to the roof. The stand-offs keep the ladders off of the gutters and prevents scratching and denting gutters unnecessarily. Can I get my windows cleaned on a regular basis? Yes. We do offer maintenance programs which can be customized to meet your needs. Most frequently, customers choose to have their windows cleaned three times a year or four times a year on a maintenance schedule. Customers then choose which times they want the windows cleaned indoor and outdoor and which cleanings are to be out only. How often should I get my windows cleaned if I want them to appear clean all year? This really depends on the environment in which your house is situated. If you live in a heavily wooded area, you will need to clean your windows more frequently to keep them satisfactory. If you live in an established neighborhood you might get by with one or two cleanings a year. What happens if it rains the day my windows are scheduled to be cleaned? Unless it is a heavy rain or a storm with electricity, we can typically keep our appointment. Rain will not cause the window to be dirty or spotty again. Rain spots on glass are caused by dirt and dust accumulated on the window itself. Thus, rain does not cause the window to get dirty, but rather, dirt causes the window to get dirty. A clean window that gets rained upon will still look clean after the rain. Likewise, a dusty/dirty window that gets rained upon will look dusty/dirty after a rain. In addition, it often rains for only a certain period in the day and then passes. We will often work around the weather system and wait for a storm to pass before beginning our day. Regardless, we will always be in communication in the event of weather delays and or reschedules. 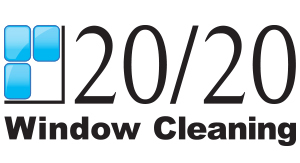 What do I need to do in order to prepare for my window cleaning? We do not require that you to do anything in order to prepare for us. However, there are some things that you might consider doing in order to enjoy the most efficient and timely service possible. Indoors, you can move items out of your window sills. This is especially important in the case of a rare or valuable piece that you would rather handle yourself. Outdoors, it is greatly appreciated when landscape and trees are trimmed such that we can get to a window without a great deal of trouble. I just had my carpets cleaned, should I wait to have windows cleaned? We do wear shoe covers and use drop towels under our work in order to protect your home. We make it a priority to leave your home cleaner than when we arrived. In the rare instances that we have made a spot on the carpet, we have always been able to remove it with a small amount of club soda and a clean towel. We understand that peoples’ schedules change and that life happens. At the same time, a schedule change or cancellation has an affect on multiple layers. Not only are 20/20 and its employees affected by a schedule change, but also, it affects the other 20/20 customers on the schedule for that period of time. Thus, we ask for two business days notice if you must change a scheduled appointment. We also ask that you work with us in order to keep the existing appointment. It is common to find a resolution that allows us to keep the scheduled appointment.